The World Photography Organization has announced the winners of the 2014 World Photography Awards. I love this one by Michael Nordqvist, a Swedish skydiver and base jumper who won the 1st Place Nordics National Award. Captain Sweden! The picture is a self portrait taken half a second after exiting the aircraft. 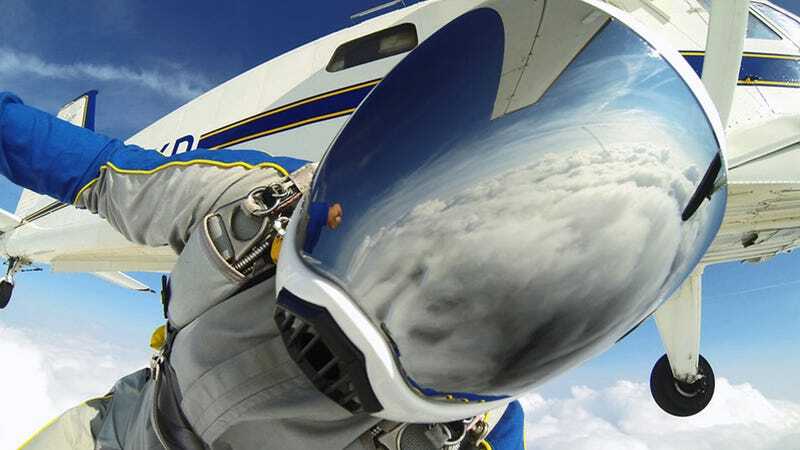 I held the camera in my hand pointing it to the helmet to catch the sky and aircraft in the mirror of the visor. The jump was performed over Skydive Skåne DropZone in southern Sweden. Here you can see some other winners.